Check out Rachel Neumeier’s guest post about writing House of Shadows and enter to win a signed copy (giveaway open internationally)! 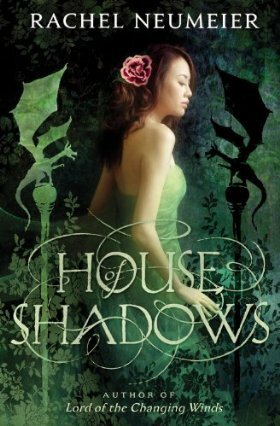 House of Shadows is the most recent fantasy book by Rachel Neumeier, who has also written the Griffin Mage trilogy and two young adult fantasy books (The Floating Islands and The City in the Lake). While the author has mentioned she has an idea for a sequel, House of Shadows is a story that stands on its own and is wrapped up in the end. Once there was a merchant with eight daughters ranging in age from 9 to 19. Each one of these daughters fit into the household or managed a portion of the business in some way – except for Nemienne. Nemienne lacks a special talent and is prone to getting distracted from her tasks, leading to burned bread or even no bread when she returns from the market empty-handed. One day the merchant dies suddenly, leaving his daughters with more debts than they can handle and a business they cannot legally own. After much discussion, they come to the conclusion that they must face the hard truth: in order to pay off their debts and keep their father’s business, some of the sisters must be sold. Since she has no skill that is useful to the household, Nemienne is the first to volunteer to be one of these sisters. Karah, the most beautiful sister, sensibly suggests she attempt to sell herself to a flower house as a keiso, one of the glamorous women who entertain men in social gatherings. The two sisters meet the Mother of the highly reputable Cloisonné House, who pays a sizable sum to make Karah part of her house. Nemienne does not fit in with the sophisticated keiso any more than she did her own household; however, the Mother of Cloisonné House recognizes that Nemienne has a talent for magic and arranges for her to earn her keep as a mage’s apprentice. While Nemienne learns magic and explores the strange house she’s now living in, Karah becomes a keiso earlier than is normal. At her first social gathering as a keiso, Karah is introduced to Taudde, a bard from Kalches. Due to hostility between the country he is visiting and his own nation, Taudde must keep both his knowledge of sorcery and his homeland a secret. Unfortunately for Taudde, some men involved in a conspiracy against their own kingdom discovered his secret and used it to blackmail him into being part of their plot. When Karah catches the eye of the conspirators’ target, she is nearly killed and is only saved by Nemienne’s magical influence, drawing both sisters into the scheme against their kingdom. House of Shadows is enchanting with lovely writing and a character-driven story. 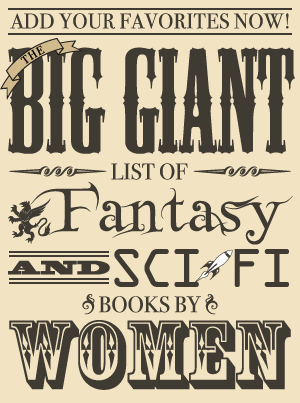 It reads like an original fairy tale, full of magic, wonder, and beauty. I was utterly charmed by this book and so absorbed in it I could barely manage to put it down before it was finished. As Nemienne learned magic, I just grew to love her more for her vast inner strength, courage, and sharp mind. She was a refreshing character since she was both one supposed to be intelligent and one who acted like it. Once she was presented with evidence, it didn’t take long for her to figure out what was going on. She did perhaps seem a little too quick to catch on at times, but I didn’t mind that much since I prefer that to a character who struggles with the obvious, dragging out the plot needlessly in the process. Like her sister, Karah is a bit on the perfect side but in a completely different way. Karah is beautiful, kind, innocent, and prized by the flower house for her sweet naivete. Yet I found her extremely likable and even sympathetic, probably because she did still have uncertainty about her new role and so much innocence that she could be blinded by it. One aspect of Karah that I really enjoyed was that she was more than just an attractive woman – her beauty captured the attention of others yet it was her wit and attentiveness that held their attention. While important, Karah is actually not a point of view character and much of her time at Cloisonné House is viewed through the eyes of Leilis, a servant who used to have a more prestigious role. Leilis has experienced firsthand just how terrible some of the women in the flower house can be and acts as a guide to Karah, all while slowly revealing the details of her downfall. Since she does have some very understandable bitterness, she nicely balances out the two sisters’ innate goodness and still manages to be a character one can root for at the same time. Out of all the major characters, it took me the longest time to warm up to Taudde since his point of view was the most removed from the two sisters in the beginning, but by the end he was my favorite of all. He was the most multi-faceted of these characters, and I think that is largely because he was the one who was tested the most. When he was blackmailed, he had to make a decision that had a big impact. While he didn’t always do the right thing, his actions were rational making it easy to continue to empathize with his situation and like him. Although I feel like I am spending too much time on the characters in this review, I have to discuss the major villain a little before moving on. It’s revealed pretty quickly that he’s not exactly what he first appeared, but depending on whose perspective you were reading from, you saw a different side of him. In the end, he was clearly the bad guy, but I thought there were enough different sides to his personality that it was hard to really view him as extremely evil until then. The way he acted made it seem reasonable that the other characters didn’t see that he was a villain because he wasn’t the cackling bad guy with obvious pure evil intent to many of them. The prose and descriptions were often quite beautiful, and I also thought they were well balanced. There were descriptive sections, but there was never so much description dumped on the page at once that it seemed excessive. The more detailed passages were spread out so they never lost their loveliness. In addition to the characters and writing, the magic also stood out. Nemienne’s mage studies showed us one side of the magic that was about light, dark, and sympathy. Taudde’s bardic sorcery showed us a different type of powerful magic that was also fascinating. There’s also the mysterious mage house with its passageways and doorways that suddenly appear, and a dragon who embodies magic in an interesting way. There’s really very little I didn’t love about House of Shadows, but it did bother me a little that everything worked out very neatly and easily in the end. As mentioned, I also did feel that Karah was almost too perfect and Nemienne almost too smart. Both did have situations that balanced that out a little and made them sympathetic – Nemienne starting as an outcast and Karah beginning her life in the flower house feeling a bit unsure. However, I enjoyed the book enough that these are minor quibbles. All wordiness aside, I loved House of Shadows. The characters, writing, and magic captivated me, but there was a lot to love in the details as well – the dragon, the cats who are characters in their own right, female characters with different situations and types of inner strength, and just a little bit of romance. It is a simple book in some ways yet it all fits together so effortlessly that it is not, and it has enough beauty and wonder to make it truly memorable. Where I got my reading copy: I was contacted about reviewing the book by the author and received a copy of the book from her publisher.